My mom moved recently. They downsized. Selling their almost 400 acres of rolling farm land and moving into a beautiful home nestled on 40 wooded acres. We were out there recently, the kids and I, and mom wanted to show me her newest discovery on the property. Two pear trees laden with fruit. As the kids and I were admiring the trees one of the kids noticed the small pond near the fruit trees. It’s pretty nasty, for a pond. The water’s completely green. It even smells funky. I tuned out the conversation as Grandma patiently explained to the kids the reason for the ponds yuckiness. I remember their old pond. It was a glorious pond, as far as ponds go. It was quite big. They had built a dock that we loved fishing off of. There was a small paddle boat that the kids (and grown-ups) loved to jump in and float lazily around the pond in. Then there were the non-human inhabitants of the pond. Fish galore… sunfish, catfish, and, on a good day, some pretty big bass. Geese and ducks were regular visitors to the pond. Year after year as they migrated south they would stop and spend a few weeks at the pond. The dogs loved it, the horses loved it, the deer were crazy about it. Like I said, it was a glorious pond. Lately my attitude seems more like the scummy pond, than the big beautiful pond. This morning I remembered something my mom said that day by the pear trees. 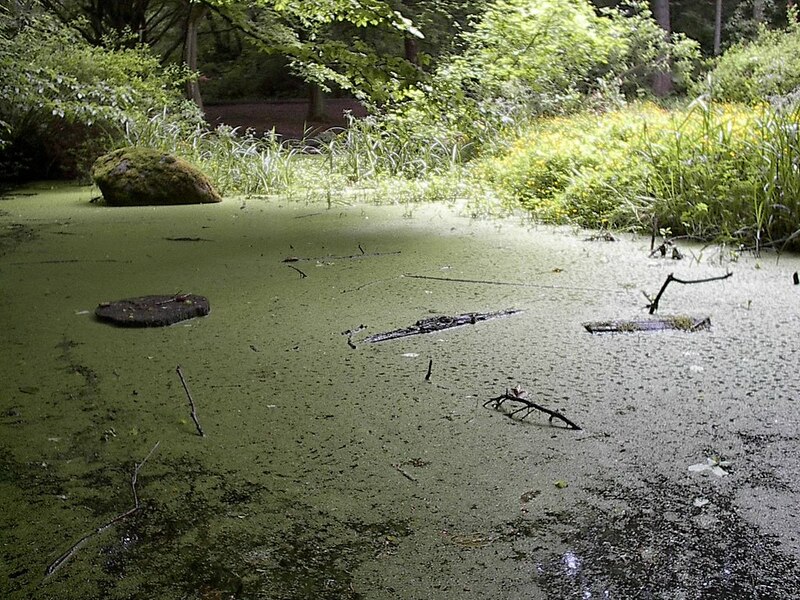 She said the pond was yucky because it didn’t have a source of fresh water. The pond at the farm was spring fed. The spring fed not only the pond, but the house and farm as well. It was the only source of fresh water on the nearly 400 acres. And it never once ran dry. But the new pond had no spring. Nothing fresh was coming in. It just sat there. Collecting algae and scum. Perhaps that’s my problem too. Maybe I need a good spring. Cool refreshing water pouring over my soul, washing away the scum and stink. Living Water found only in Christ Jesus. Maybe then my attitude will begin to change and life will return to this stagnant soul.